Dell Powervault MD3200. 12x Trays with Screws. Includes a USB Key thumb drive tested and booting to an OS (CENTOS) to make extra sure your server is good in working order. No Power Cords Include. Extra Warranty OptionBUY NOW! Our technicians specialize in HP models ensuring that your unit will arrive on your doorstep with quality components and performing at optimal efficiency. Model: StorageWorks D2700. SAN Storage. Manufacturer HP. Includes: HB-2435, 2 x SATIT2 and 4 power cords. Manufacturer: Xyratex. Hard Drives: None. No international orders. Tamsolutions is an R2 Certified recycler. All serial and part numbers are kept on record to prevent fraud. 100% Health zero bad sectors. Excellent condition. Tested with HD Sentinel and SeaTools. All photos are of our worst conditioned item in a lot. You will likely receive an item of equal or better quality than the actual photos. Expander-based 6-drive bay that supports SAS/SATA drives. Requires a SAS module or SAS RAID card with two free ports. All U.S. major credit cards are accepted. Cashiers Check and wire transfers are accepted. We do not limit ourselves to these carriers. This item is tested, cleaned,wiped and is in good working condition. We’ll resolve the issue and make it right! 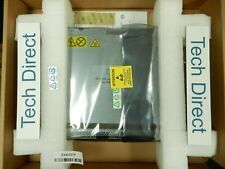 NEW Dell EqualLogic KYCCH N7J1M C2F Power Module for PS4100 PS6100 PS6110 PS6210. It has a Reg Model of E09M and reg type number of E09M001 and Dell part number of HRT01 A01 It was pulled from a working unit. Hello from Adcomp LLC! We are also unable to cancel orders once the unpaid item process begins. SSD: 200GB, 400GB, 800GB (WI); 400GB, 800GB, 1.6TB (MU);. SSD: 200GB, 400GB, 800GB (WI); 400GB, 800GB, 1.6TB (MU); 800GB, 1.6TB (RI). 800GB, 1.6TB (RI) (available with 3.5” HDD carriers). 3.5” 10K and 15K HDDs are not supported on the dense model. 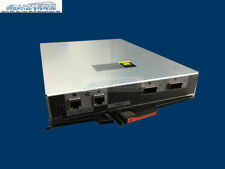 HP D2700 25-Bay SFF SAS Disk Enclosure. Model: D2700 25 Bay SFF Disk Enclosure. This is a HP StorageWorks D2700 25 Bay small form factor disk enclosure unit with 2x integrated I/O modules and also has dual Redundant Power Supplies. All the components are genuine HP parts and have all the appropriate labels. NEW Dell MD1200 2U front bezel. (1) Dell MD1200 bezel. Bezel for a 2U chassis MD1200 chassis with key. We carry DELL Desktop systems, servers and storage solutions as well as DELL parts and accessories. FRU 39M6019. PCIX 266MHz BUS. Genuine IBM x3650 Qlogic Adapter. Pulled out of a IBM x3650, double check that your x3650 has PCI-X Slots. P/N: 111-00709 E3. ASSY / N: 110-00270 B1. Board P/N: 201-00129. "The sale of this item may be subject to regulation by the U.S. Food and Drug Administration and state and local regulatory agencies. This unit has been used. Trending at $149.50eBay determines this price through a machine learned model of the product's sale prices within the last 90 days. Fully tested, works perfectly. Item is clean and ready to use. We are also unable to cancel orders once the unpaid item process begins. We will make every attempt possible to resolve the issue if we made a mistake. (It happens). Dell PowerEdge 1850 2800 2850 Raid Key Kit. Lithium Ion Battery. Complete Kit! Everything you need is right here, no missing pieces. 256MB Cache Module. IBM 2072-ACHB 4 to 8GB Cache Upgrade. Tested and working. Our technicians specialize in HP models ensuring that your unit will arrive on your doorstep with quality components and performing at optimal efficiency. Model: MDS600. Hard Drives 70x HP Trays Included. Our technicians specialize in HP models ensuring that your unit will arrive on your doorstep with quality components and performing at optimal efficiency. Model: MDS600. Form Factor Modular Disk System. Compatibility: P2000 G3. Type: 8GB Fibre Channel Module. Manufacturer: HP. Graphics Cards. RAID Cards. Hard Drives. You may be interested in. SAN Storage. 2078-AC0B 4 port 16GB FC Cards. This feature is a pair of cards so you will get 2 cards with each order. Tested and working. Model Number : X3245A-R6, 110-00180 b0, X1160A-R6. This device was fully tested and functioned perfectly. Quantity: ONE (1). ConditionLike New. Part NumberNMJ7P. Product Specifications. 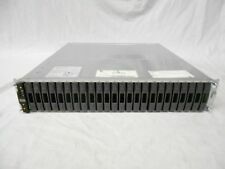 IBM 2078-AC94 or AC91 00AK371 00Y5951 V5000 Storwize 400GB SSD 12gb SAS Drives. Tested and working. No longer want the item. Item Specifications. A top rated IT hardware supplier. Get SMART about your IT™. WE ALSO BUY NIMBLE STORAGE, MESSAGE OR CALL FOR A BID! H3C Technologies Co., Limited (H3C), a wholly owned subsidiary of 3Com Corporation, is a leading global supplier of IP-based products and solutions. H3C model IX3000. Requires 3U of rack space. Holds up to 16 SAS hard drives (drives not included). (36TB Installed). All the details of what is included is listed below. This item is tested and is in good working condition. This item has normal wear and tear usage. 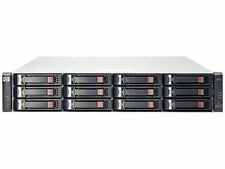 · 12 x HP 3TB 7200 RPM dual-port SAS hard drive with caddy 625140-001.